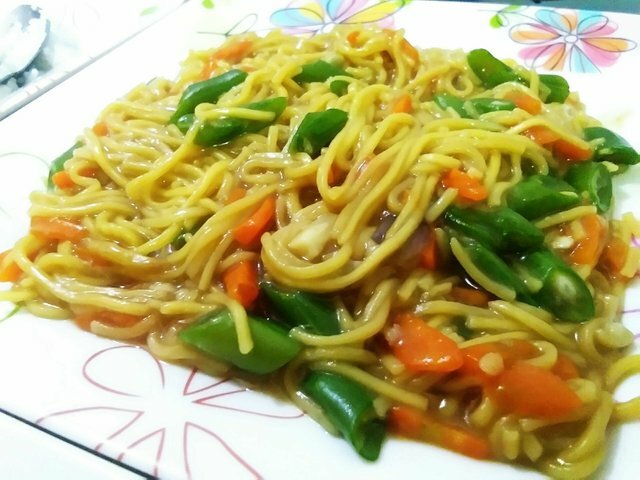 Today I would like to share my new recipe - Pancit Bato. Yes, this is new for me, this is the first time that I prepared this delicious pancit. For those who loves pancit canton, you might try this one out. First, saute Onion, garlic onion, carrots and baguio beans with a little cooking oil. Add a little water and salt. Cover and simmer for 3 mins. Third, put the sauted veggies in the boiling pancit, add oyster sauce, sugar, fish oil to taste. Last, keep on mixing it, do not cover for the pasta also is sticky. Once you saw that the pasta is kind of soft and the sauce is thick, this is it! Pancit! Wow, one of my fav. Thank you for sharing! @lalasison you were flagged by a worthless gang of trolls, so, I gave you an upvote to counteract it! Enjoy!! Congratulations @lalasison! You received a personal award!